This package provides form elements for Laravel 4.2, which are styled with Bootstrap 3. There is a demo page included in this package: use View::make('bselements::demopage'). First register the service provider Alexwenzel\Bselements\BselementsServiceProvider in app/conf/app.php. Bootstrap assets (CSS/JS) are not included! Include them yourself. 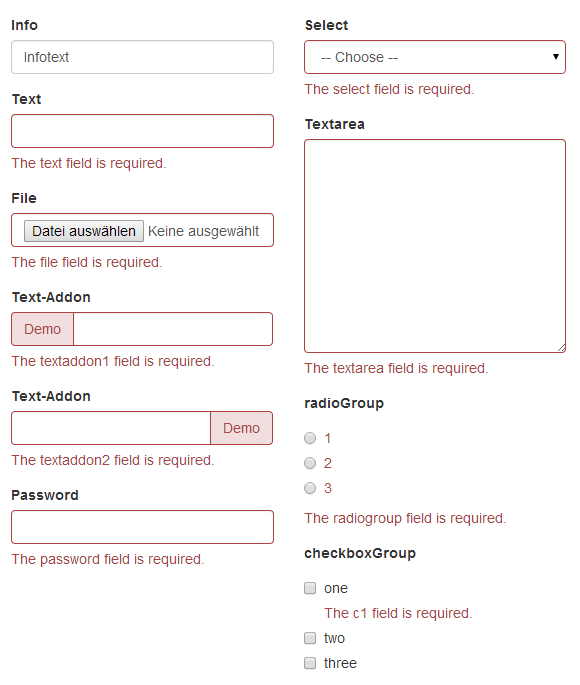 You can inject your validation messages within you template into the BsForm class. Generates a text input look-alike field, without any functionality. Generates a text input element. Generates a text input element with addon. Generates a file input element. Generates a password input element. Generates a group of radio elements. 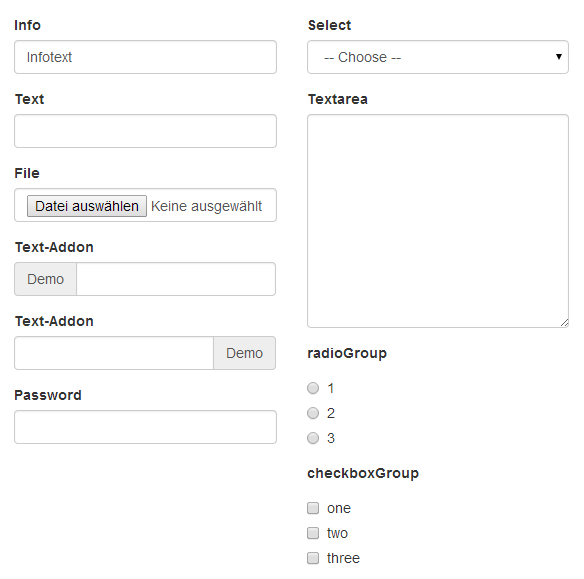 Generates a group of checkbox elements.